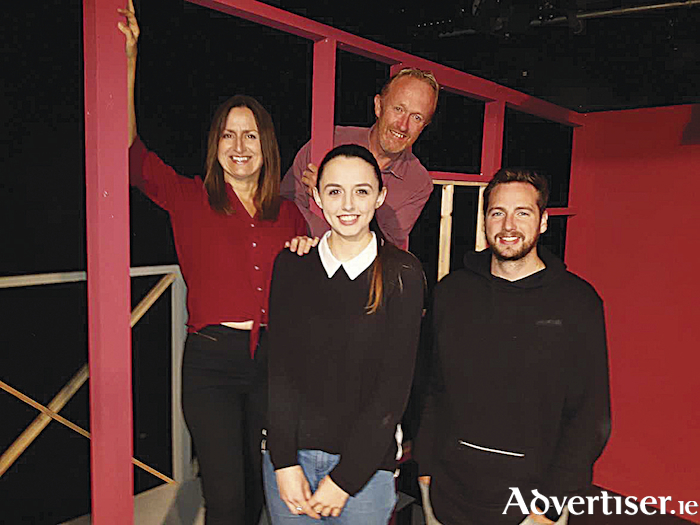 Athlone Little Theatre opens its season of drama with the classic American tale of love, bitterness and abandonment, The Glass Menagerie. Opening this Friday night, September 21, this memory play is narrated by Tom Wingfield, as he looks back and focuses on the impoverished Wingfield family at a time when their matriarch Amanda is putting pressure on him to find a suitor for his fragile sister Laura. The Glass Menagerie is considered Tennessee Williams’s most autobiographical work. Like the Wingfields, the Williams family included a dominating matriarch, who raised the family largely without the help of her husband, a travelling shoe salesman. Like Amanda, she was a faded Southern belle. Laura was based on his older sister Rose, who struggled with mental illness and retreated to a world of isolation, surrounded by her beloved glass ornaments. Even the description of the Wingfield’s St. Louis apartment mirrored a home the playwright once shared with his family. Laura’s favourite piece in her collection is the glass unicorn, an unusual creature that her could-be suitor Jim says is ‘extinct in the modern world’, much like Laura herself, out of place in the world around her. Mel O’Flynn directs the Little Theatre’s production, with Annette Dowling commanding the stage as the indomitable Amanda Wingfield. Troubled son Tom is solidly played by Frank O’Brien and Emma O’Neill, impressive in The Second Mrs Tanqueray, portrays the desperately shy Laura with touching precision. Lined up as her prospective fiance Jim, is Tomás Glynn, who gives a well-judged interpretation of a young man caught up in a uncomfortable domestic triangle. Set design and construction is under the artistic direction of Geoff Boles, lighting and sound design by Paddy Martin. Curtain up for The Glass Menagerie is 8pm and the performance will run for eight nights from Friday, September 21, until Friday, September 28, at Athlone Little Theatre, St Mary’s Place, Athlone. For online bookings see www.athlonelittletheatre.ie or phone (090 ) 6474324 and check Facebook for regular news.